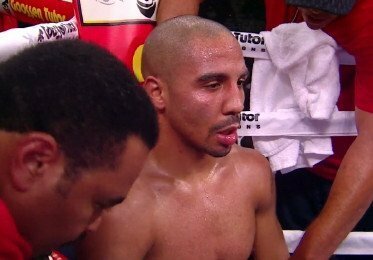 How would Sergio Martinez or Chavez Jr. fair against Andre Ward? By Robert Jackson: Now that we’ve gotten Ward/Dawson out of the way, what’s up next is the Martinez/Chavez Jr fight! The winner of this fight could rightfully be in line for a BIG money PPV match-up against the undefeated Andre Ward. An undefeated Chavez Jr facing and undefeated Ward would be the better match-up unless…Martinez puts on a virtuoso performance while beating Chavez Jr. Looking at the case for either man facing Ward next you first have Chavez Jr who at 26 is outgrowing the 160lb division, while the 37 year old Sergio ‘Maravilla’ Martinez is counting down to the twilight of his career. The BIGGER interest and promotion would be for Chavez Jr to face Ward, he has a bigger name and following. He fights in the rough-tough Mexican style even though Freddie Roach has added a few wrinkles to his style, and he would bring the fight to Ward. Martinez a technician just like Ward starts slowly making adjustments along the way to even out a fight and makes more adjustments as a fight moves forwards to pull ahead. Late in recent fights Maravilla has gotten KO’s, after slow starts. He’ll do the same against Chavez Jr in their upcoming fight. Doing this against Ward could result in a chess match with 2 thoughtful fighters trying to out-think each other, a possibly low punch output, less action affair. Fans may anticipate a snoozer of a fight which would make this fight the least desirable one. Having just faced and defeated a legitimate light heavyweight, Ward would have no problems with Chavez Jr’s size. Chavez Jr would have the problems deciphering Wards style and ability – he’d get outboxed, probably easily, maybe even stopped. Against Martinez most likely at a catchweight between 160lbs and 168lbs, Ward would out-think Maravilla and do all of the things that Maravilla does better, boxing his way to a unanimous decision victory in a very technical fight. You are here: Home / Boxing News / How would Sergio Martinez or Chavez Jr. fair against Andre Ward? The Heavyweight Division Continues To Fall Apart; Can It Be Put Back Together Again?